Looking for a hat that is subtle but speaks for itself? 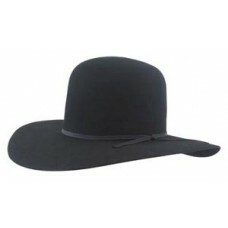 Then look no further because the Big Bend cowboy hat is the way to go. With a 6" open crown that you can leave as is or shape it yourself. This hat is sure to turn some heads. Available in an array of colors and brim sizes that range from 3" to 4".